SODALITA There are 2 products. 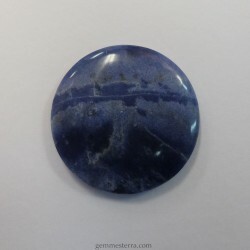 Round cab of Sodalite. Not treated. Weight: 39.40ct. Size: 32mm. 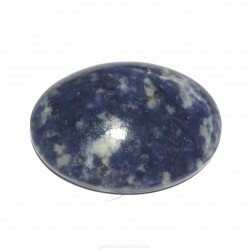 Oval cab of Sodalite. Not treated. Weight: 14gr. Size: 39.5x29.5x9mm.